"The first details on Warner Bros' upcoming toys-to-life game LEGO Dimensions have leaked online [by just2good on Reddit] ahead of its official reveal. 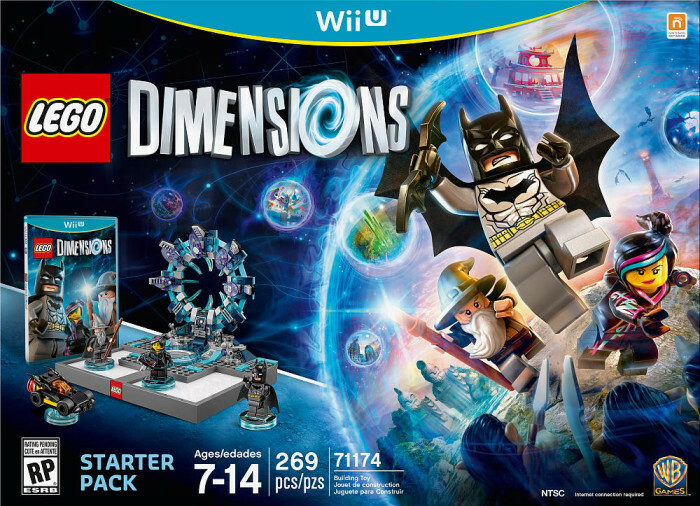 "Similar to Skylanders and Disney Infinity, LEGO Dimensions will let players use physical toys to beam new characters into the game, with three figures - Batman, Gandalf and Wyldstyle - allegedly set to be included in the LEGO Dimensions Starter Pack. "According to the leak, the Starter Pack also includes a LEGO Toy Pad, a LEGO Batmobile vehicle and building bricks to build your own LEGO Gateway."